"Go don`t know where and bring don`t know what!" In the spirit of this Russian folk tale sounded the statement of the European Central Bank that it "may undertake outright open market operations of a size adequate to reach its objective." Amid the expectations that the ECB will stand bare-breasted at the embrasure to protect the euro, the news that came from the meeting of the bank`s Governing Council on 2 August looks more than meager. Markets were disappointed and responded eloquently - the borrowing costs of Spain and Italy rose again. Actually, the reason for these "great expectations" were the ambitious statements by ECB President Mario Draghi the week before, or rather - their frivolous interpretations. 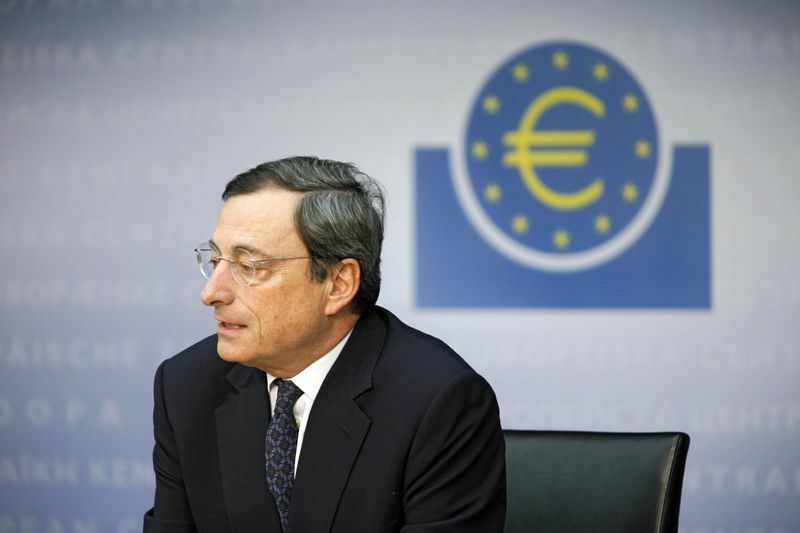 In London, Mario Draghi said that "within our mandate, the ECB is ready to do whatever it takes to preserve the euro. And believe me, it will be enough." And the clarification that excessive borrowing costs for eurozone countries came within the ECB`s mandate made the markets believe that Draghi intended to renew the debt buying programme for distressed countries, or something even bigger. Media discussed several scenarios for possible ECB intervention: imposition of a ceiling on the difference between Germany's borrowing cost and that of Italy and Spain, a joint intervention of the ECB and the temporary rescue fund for the euro area EFSF (European Financial Stability Facility) and granting the permanent rescue fund - the European Stability Mechanism (ESM) - a banking license. Not only were markets inspired by Draghi's words, resulting in easing the pressure on Spain and Italy, but the politicians as well. 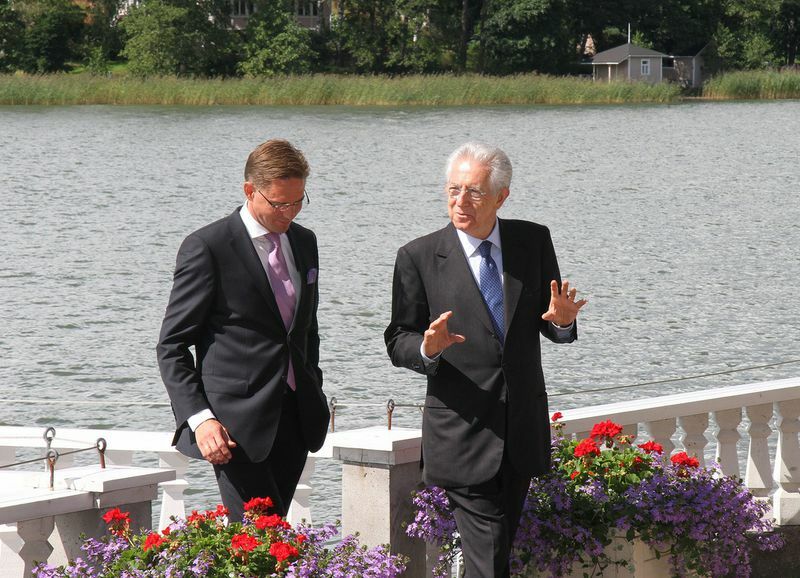 After his meeting with Finnish Prime Minister Jyrki Katainen in Helsinki Mario Monti, Italy's prime minister, said that granting the ESM a banking license would help and would occur "in due course." The Italian prime minister seemed encouraged by Draghi`s statement and "particularly impressed by the clarity" with which Draghi had talked about excessive differences between interest rates. Apart from the spreads between government bonds, "we must even more avoid spreads between mentalities and between nations," Monty said, to avoid the euro to become a "factor of disintegration" in Europe. 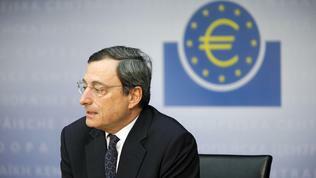 Ultimately, however, there was only the ECB`s statement of 2 August, without any specific commitments. In response to numerous media questions whether his speech in London misled media and markets, Mario Draghi explained that the way how media interpret something was their own business: "I can’t influence what the media write, as you very well know. And you would certainly not want me to tell you what to write." Draghi advised all to read again his speech from London, where no word is mentioned at all about a bond buying programme or any timing, he said. The sense of this speech was that the euro is irreversible, he explained, stressing that the position of the ECB was not "backtracking". However, Mario Draghi admitted that the ECB statement, though rather evasive, was supported by all board members with one exception. It is known, Draghi said, that "Mr Weidmann [Jens Weidmann, president of the German Central Bank] and the Bundesbank [...] have their reservations about programmes that envisage buying bonds." Germany continues to resist every attempt to involve the ECB in large-scale operations aimed at reducing Spanish and Italian debt yields. To those insisting to use the unlimited liquidity of the ECB to help individual countries and thus save the euro, Berlin opposes several ideological, practical and moral arguments. Besides the classic German inflation fears, it is about Germany`s strong belief that the ECB must not violate the ban to finance directly the governments, which more or less happens in the case of buying government debt. And anyone who wants help, should "do their homework" first - to carry out fiscal consolidation and structural reforms. In that sense Berlin believes that market pressure has disciplining effect, the elimination of which would increase moral hazard and reduce the incentives for reform. This position is also reflected in the statement of the ECB of 2 August, which recognises the harmful effects of the exceptionally high risk premia in government bond prices in several countries, but clearly states who should take care to solve the problem: "In order to create the fundamental conditions for such risk premia to disappear, policy-makers in the euro area need to push ahead with fiscal consolidation, structural reform and European institution-building with great determination. As implementation takes time and financial markets often only adjust once success becomes clearly visible, governments must stand ready to activate the EFSF/ESM in the bond market when exceptional financial market circumstances and risks to financial stability exist – with strict and effective conditionality in line with the established guidelines." For its part, the European Central Bank within its mandate and in observance of its independence "may undertake outright open market operations" or "may consider undertaking further non-standard monetary policy measures," because, as Mario Draghi explained, "the ECB cannot replace governments, or cannot replace the action that other institutions have to take on the fiscal side." The ECB`s statement is fully in line with the decisions of the leaders of the euro area from end-June, when they allowed the use of the two bailout funds for the purchase of government bonds under clear and strict conditions. Regarding the future actions of the ECB, Mario Draghi promised more to be revealed soon because the specific details were currently being developed. He said only that the current concept differs from the previous Securities Market Programme. In all cases, however, it will be carried out on the secondary market and will be directly within the mandate of the ECB, in order not to violate the prohibition on financing of governments. In this sense, there is no way the permanent rescue fund (European Stability Mechanism) to gain access to ECB funding but not because it does not have a banking license, Mario Draghi underscored. He said he was surprised by the enormous attention paid by media to this issue after his statement in London. 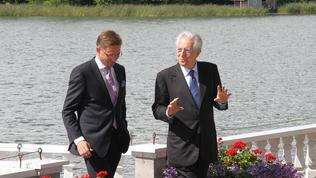 "After all, I have said at least twice that the present design of the ESM does not allow this. It is not up to us to issue a banking licence – this is a matter for the governments," Draghi said. The point is that, as the ECB stated a year ago, the ESM cannot be financed by the central bank because it would violate the prohibition on ECB financing governments (Article 123 in the TFEU). In fact, the expectations for a decisive intervention by the ECB on the market, in whatever form, are related namely to concerns about the limited financial capacity of the rescue funds for the euro area. But as was repeatedly stated by German Chancellor Angela Merkel, no matter how large they are there will always be someone to say that this is not enough. So apparently, the latest decisions of European politicians and the position of the ECB follow the existing line - the main tools to tackle the crisis are fiscal consolidation, reform and promoting economic growth. Any forms of pouring money into troubled countries should be exceptional and intended only to buy time until reforms deliver.